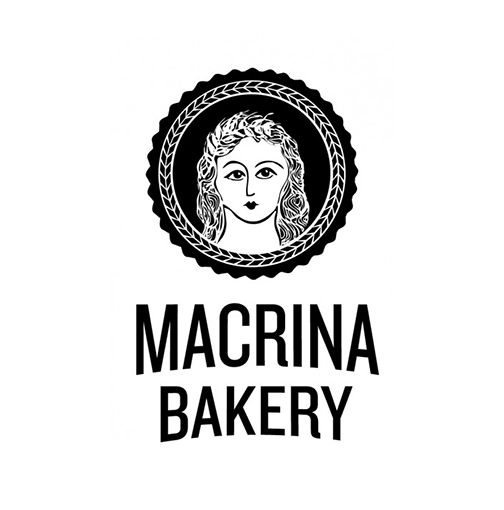 Macrina Bakery is a prominent bakery business located in Seattle. The business started off as an idea by founder Leslie Mackie when she was still in cooking school many years ago. The bakery has been recognized locally and nationally for its baking and amazing pastries, and boasts multiple successful cafes in the Seattle area. Macrina Bakery also runs a wholesale business, supplying their baked products to many businesses and customers. Their baked goods are available at many local restaurants, cafés, hotels and markets, including Amazon Fresh and Whole Foods. Check out all their retailers here! 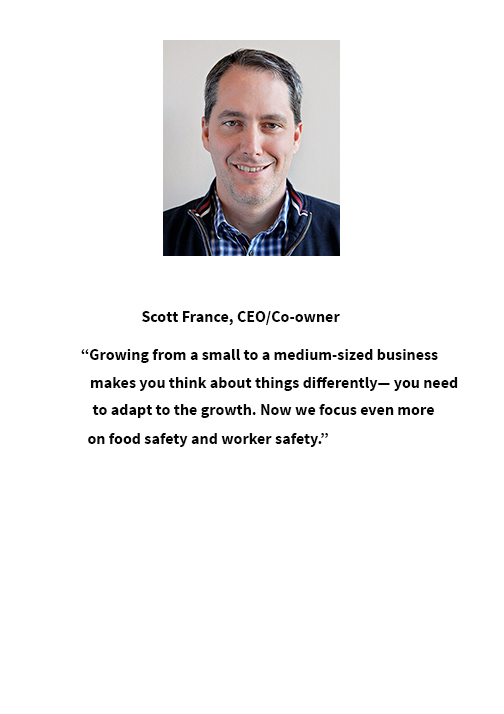 We had the opportunity to speak with Scott France who is the CEO and Co-owner of Macrina Bakery and has been with the company for over 10 years. What is Macrina Bakery’s top priority? Our key focus is to keep our customers happy with our product and service. We would love to know more about Macrina Bakery. Can you tell us about your business? Our company operates in the retail and the wholesale market of baked goods. We employ 250 employees across our wholesale and 4 café outlets, and stay open for business 364 days a year- all year long except on the day of Christmas. Through our wholesale department, we deliver our baked goods to an array of businesses including cafes, hospitals, catering businesses, etc. Our customers are located all over Seattle, and we deliver to locations an hour around Seattle. What does your mobile workforce look like? We have 16 delivery vans that deliver our products to the customers. The delivery vans set out as early as 1 am each morning and typically make about 60 deliveries every day all over Seattle. We even use a ferry to get to the west of Seattle to reach customers across the water. What are the challenges you face with your mobile workforce? With each of our vans setting out early in the mornings, and with many deliveries to make, coordinating the logistics of the vehicles is difficult. It is also hard to monitor the reliability of the vehicles or efficiency of the routes our drivers take. FlexiBake: A bakery management software that takes customer orders, and provides information for the drivers to pick up packed products. Automile: A fleet-management solution to track our vehicles and monitor trip routes. What made you seek a telematics solution? As I mentioned earlier, we wanted to monitor the reliability of our vehicles. We also wanted to improve on the efficiency of the routes for the drivers, to make it easier for them to do their job. We wanted to monitor the vehicles to make sure they were being used in a manner that was best for the products being delivered. Also, my auto insurance company encourages the use of a telematics solution to keep our insurance costs low. Automile shows us exactly where our vehicles are at any given time. Sometimes if the driver is not responding to a text or a phone call because they’re on the road, then we can look the vehicle up on the map and know where the van is. If we need to find the location of a van because it’s broken down, or needs repair, Automile helps us do that. Automile also lets us review the routes the drivers use. So if a driver on a particular route finishes his shift earlier than another, we can now see what he did differently and accordingly make changes to optimize routes for other drivers. In the case of an accident, we can review trip reports to make sure our drivers weren’t at fault. Automile is a tremendous advantage to track things and to gather information we haven’t had access to in the past. Well, with Automile, we now have information that we never had before, and we believe it will help us be safer. This is very important because we have so many of our drivers driving in the early hours every day. We also believe it will allow us to take better care of our vehicles and our drivers by providing them with information and tools like route data, driving information, etc. I believe Automile will help us be better in a way we haven’t before, and save money at the same time. What are your marketing strategies for Macrina Bakery? Our website is an efficient marketing channel that caters to our café and retail customers. Our cafés act as successful marketing tools too by providing great products to all our customers. Also, when customers eat at restaurants that use our products, their menu indicates that the product is from our bakery. Most of our wholesale customers are reached through word of mouth. Growing from a small to a medium-sized business makes you think about things differently— you need to adapt to the growth. Now we focus even more on food safety and worker safety. We have also become more structured to make sure we can take care of our people, our products, and our customers efficiently. For example, when we had 3 vehicles, we didn’t have to worry, but as we’ve grown, Automile has become a necessity. We have been eager to grow our team with the business, and make sure we run our business in such a way that all our “T”s are crossed and “I”s are dotted. And doing all of this while staying true to our culture and our core values is something we’ve been very successful at.